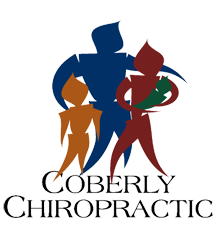 Coberly Chiropractic has been providing quality care to people of all ages for 17 years. Mention this offer, and we will donate $15.OO of the normal $35.00 exam fee back to the school of your choice. Mention this offer and receive a one-hour massage for just $35. As a chiropractor in Loveland, Colorado, we at Coberly Chiropractic are dedicated to helping you achieve your wellness objectives — combining skills and expertise that span the entire chiropractic wellness spectrum, including chiropractic care, massage therapy, nutritional and exercise counseling, Standard Process supplements, ice packs, Biofreeze, cervical traction equipment, and more. Dr. Guy Coberly is committed to bringing you better health and a better way of life by teaching and practicing the true principles of chiropractic wellness care. Patients seeking treatment with Dr. Guy Coberly are assured of receiving only the finest quality care through the use of modern chiropractic equipment and technology. Dr. Coberly and staff have a genuine concern for your well-being! A graduate of Life Chiropractic College West and member of the International Chiropractic Pediatric Association and Colorado Chiropractic Association, Dr. Coberly is a Gonstead practioner and a a Certified Chiropractic Extremity Practitioner. He accepts all insurance plans except Medicaid but is in network with the following insurance companies: Aetna HMO and PPO, AIG, American Specialty Health, Banner, Blue Cross Blue Shield (Anthem), Cigna, First Health, GEHC, Great West, Guardian, Landmark, Mail Handler’s (First Health), Medicare, Mountain States Administrative Services, MVP, Optum Health, Pacificare/Secure Horizons, PHCS (Private Health Care Systems), Preferred Health Network, Principal, Protective Life, Rocky Mountain Health Plans, Sanford Health Plan, Unicare, United Healthcare, UMR, and Western Benefits. Chiropractic is not an alternative to medicine nor is it complementary to medicine. It is a separate and distinct science, art and philosophy of health and healing. Learn more. All of our massage therapists are certified and are able to provide the highest quality in soft tissue therapy, utilizing the latest and most effective techniques. Learn more. Coberly Chiropractic sells whole food nutritional products with which to supplement your diet, natural pain relieving products to help in the early stages of care, and support products to maintain correction once it is achieved. Learn more.